Purines have two rings in their structure, while pyrimidines have one. 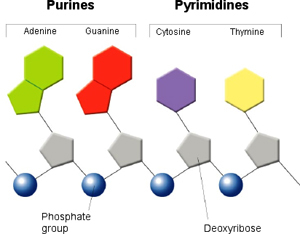 Purines and pyrimidines are the nitrogen-containing bases found in DNA and RNA. 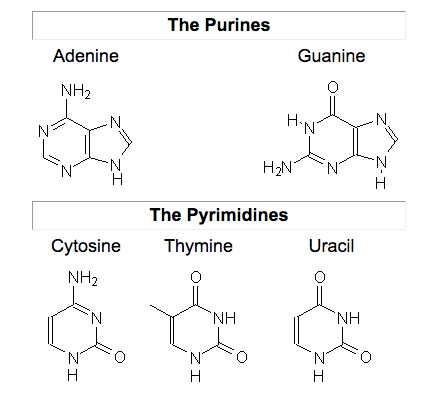 The purines are adenine and guanine, and the pyrimidines are cytosine, thymine, and uracil. Here's a video that compares the two types of nucleotides.